Sussex Police are supporting a national Action Fraud warning to the public to spot the signs of romance fraud ahead of Valentine’s Day. Reports made to Action Fraud reveal that nationally a staggering £50,766,602 was lost to romance fraud in 2018 – an average of £11,145 per victim and a 27% increase on the previous year. In Sussex during 2018, 157 victims lost a total of £2,561,906, with an average loss of £16,318 - sadly 127 out of 157 attempts succeeded. 61% live of victims alone and their average age is 65. PC Bernadette Lawrie BEM, Financial Abuse Safeguarding Officer for Sussex & Surrey Police said: "Romance fraud, accounts for 10% of all vulnerable victim fraud reports across our counties and is one of the most despicable crimes we see, with the devastating and lasting impact it has on victims going far beyond the financial loss. "The involvement of two case workers, funded by Sussex Police and Crime Commissioner (SPCC) Katy Bourne, and working through Victim Support, who support vulnerable victims who have been systematically targeted by criminals, is a valuable addition to to our efforts, in particular in relation to romance fraud." Detective Inspector Mark O'Brien of the Sussex Police Economic Crime Unit said; Operation Signature is the Sussex Police campaign to identify and support vulnerable victims of fraud across the county. Fraud is becoming more complex and deceptive, and much of it is targeted at vulnerable and elderly people. 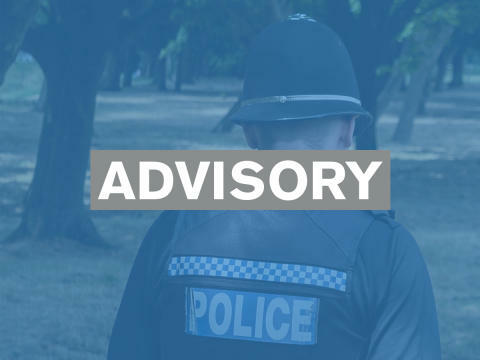 Police advice is; never send or give money to anyone you don't know or trust; check people are who they say they are; don't share your personal information; make decisions in your own time; and if in doubt phone a relative or a friend. For further information about Operation Signature see the Sussex Police website. For further information about the Action Fraud campaign see their website. For further information about the Action Fraud campaign please contact Ellie Kiai on 020 7601 2160 (or ellie.kiai@cityoflondon.police.uk).